In a single application, UPC 2.0 can create a specialized engineered building envelope, which provides better thermal resistance, excellent air barrier, and a recognized vapor retarder. Universal Polymers Corporation continues to strive toward innovative, scientific advancements in high-efficiency spray foam insulation solutions, intumescent and elastomeric coatings, high-performance quality products, and superior service. UPC 2.0 is a two-component spray-in-place closed-cell, rigid, monolithic polyurethane foam insulation. All UPC 2.0 systems contain no ozone-depleting chemicals. 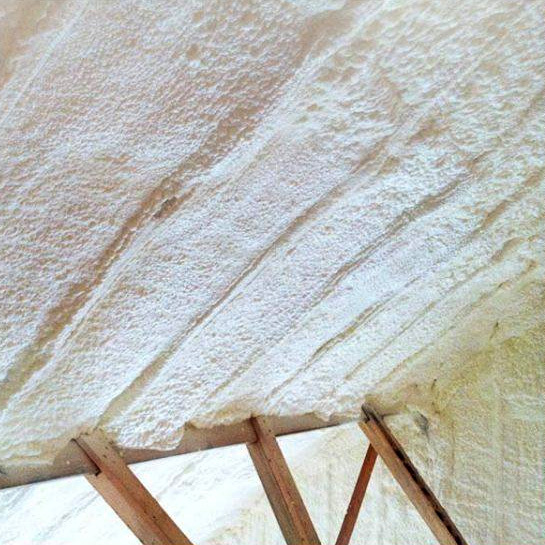 Closed-cell spray foam insulation is a higher-density foam than open-cell. The structure of the actual cells are more compact. It is both an air barrier, water-resistive, and vapor barrier. Closed-cell can be installed anywhere in the home. UPC 500 OCX Appendix X is a two component, water blown (zero ozone-depleting chemicals) light density, open-cell spray polyurethane foam insulation. UPC 500 is designed to improve the performance of the building envelope for commercial, residential and industrial applications. When properly installed UPC 500 OCX Appendix X expands, sealing voids, gaps and crevices. Ideal fit to help fill cavities of any shape, providing an air barrier to reduce air leakage, and a higher Rvalue than other insulating materials, resulting in increased energy savings and comfort.UPC 500 OCX Appendix X is a spray polyurethane foam (SPF) system intended for installation by qualified contractors trained in the processing and application of SPF systems, as well as the plural-component polyurethane dispensing equipment required to do so. Contractors and applicators must comply with all applicable and appropriate storage, handling, processing, and safety guidelines. Universal Polymers technical service personnel should be consulted in all cases where application conditions are questionable.